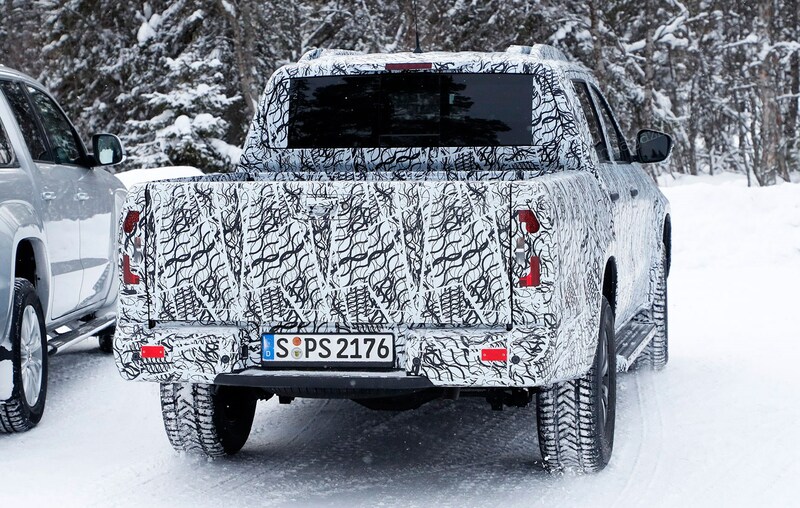 ► The most ute-ful Merc yet? 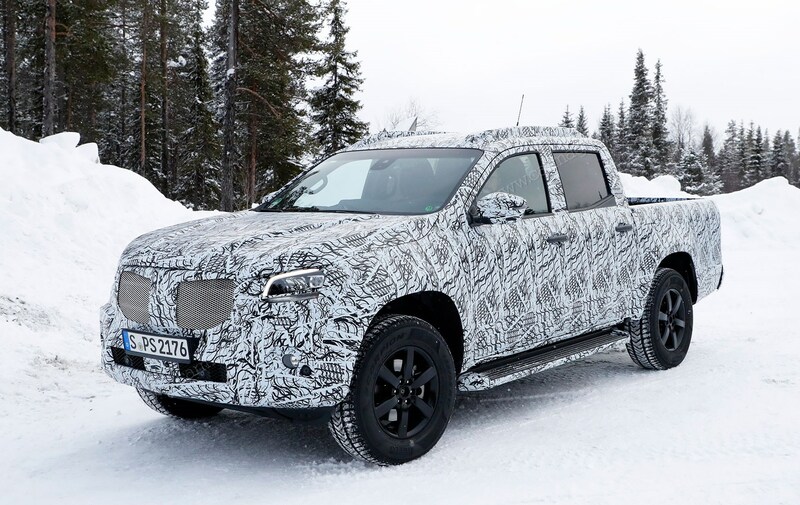 Look what's testing in the wilds of Scandinavia: it's the new, longer-wheelbase, stretched 2020 Mercedes-Benz X-Class pick-up truck, undergoing cold-weather endurance trials to make sure it'll start first time when the temperature plummets. 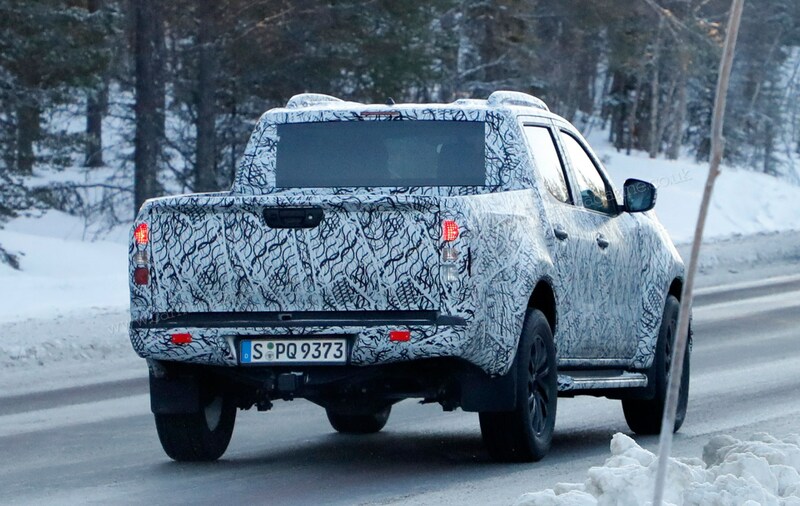 This test hack is a cut-and-shut LWB X-Class with an extended loadbed. 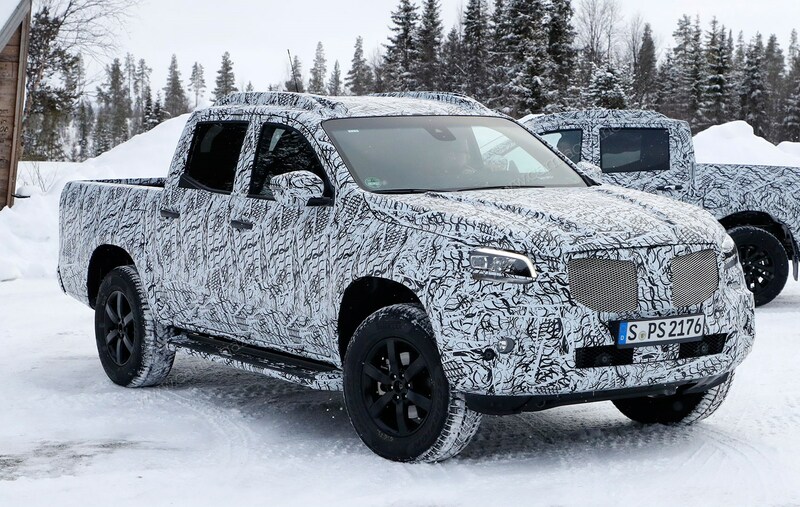 Our sources suggest it's being engineered to offer a bigger, roomier loadbed for markets where size matters - but we understand it's a third-party coachbuilder test hack, not an official Merc prototype. 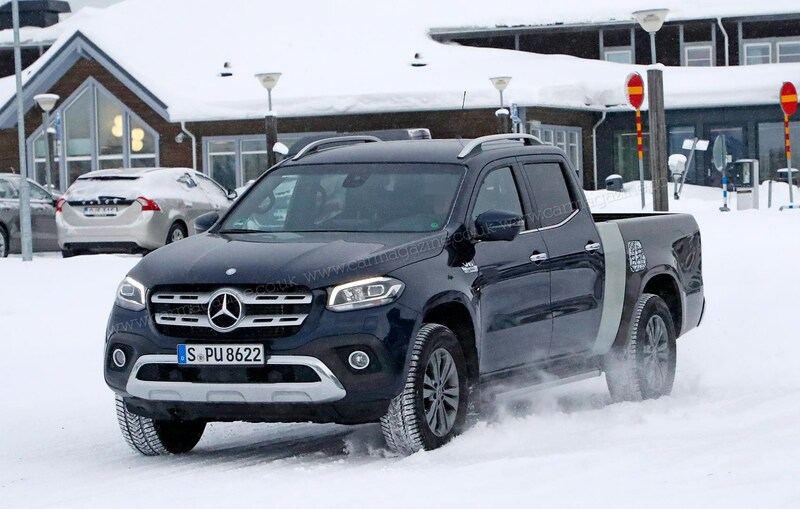 Why make a bigger Mercedes X-Class? Remember those super-sized American trucks that'll swallow any load imaginable? That's what the longer X-Class is all about. 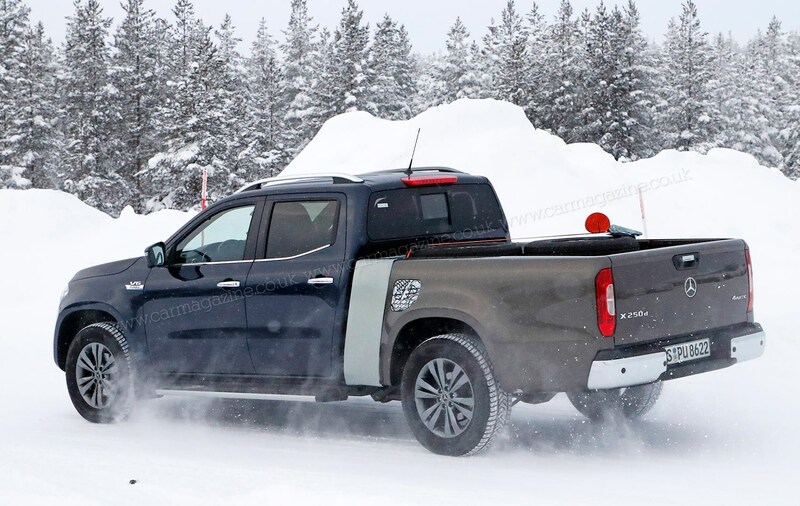 While it's still too small to compete with full-size pick-ups, a slightly elongated loadbed should be enough to close the gap. 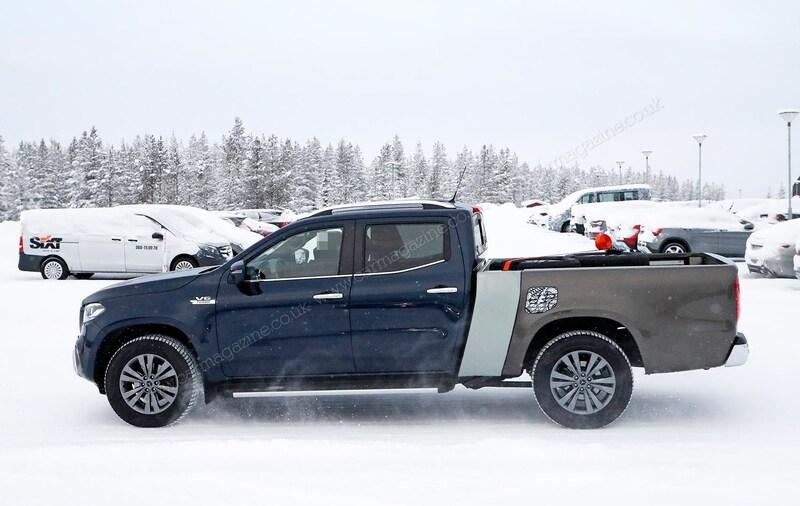 Not that the standard X-Class is that bad; check out the loadbed dimensions and payloads on our sister site Parkers Vans and Pickups. 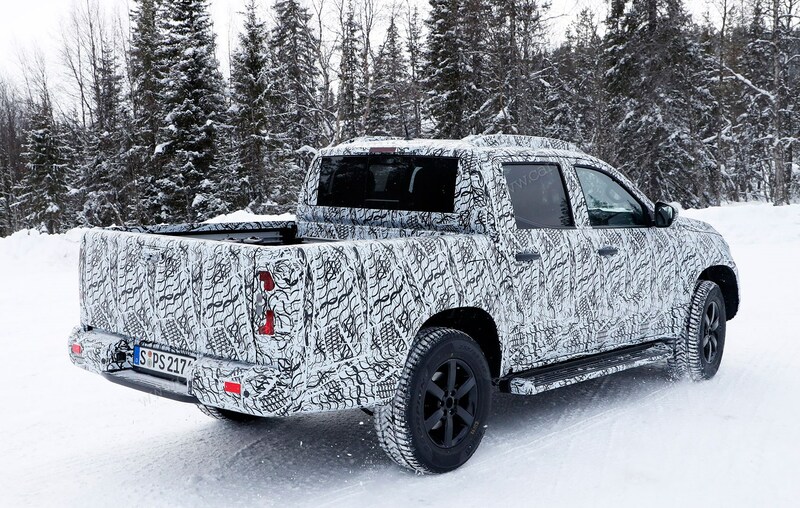 Officials at Mercedes-Benz point out that the X-Class isn't sold in the US, where it's considered too small to compete with full-size trucks. 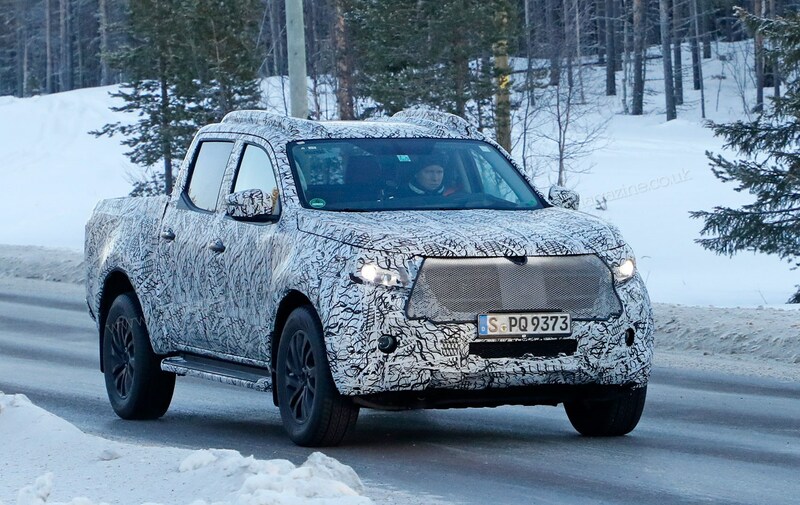 Read on for our earlier spyshots and news as we charted the development of the X-Class pick-up, from first rumour to final production truck. We caught the new X near the industry's icy test centre in Arjeplog, northern Sweden - when it was clear to see the disuise slowly peeling away. 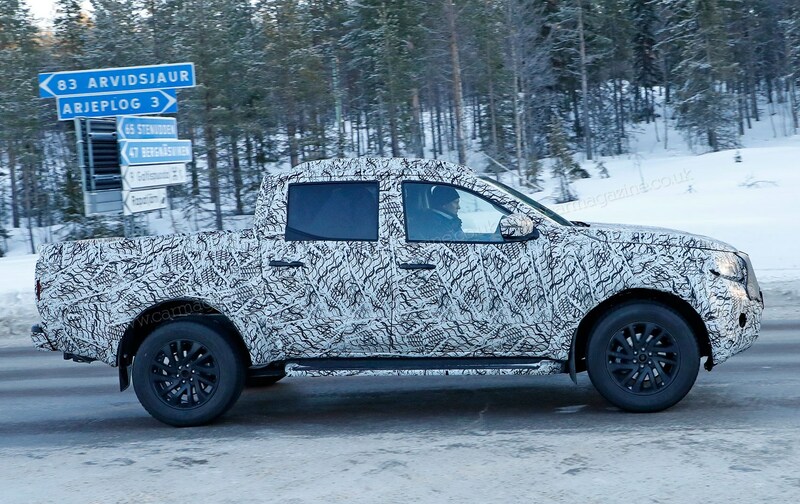 Note the distinctive, Merc-style DRL front-light graphic, now visible, and it's obvious the family face will be used to distinguish the X-class from its Nissan Navara parentage. 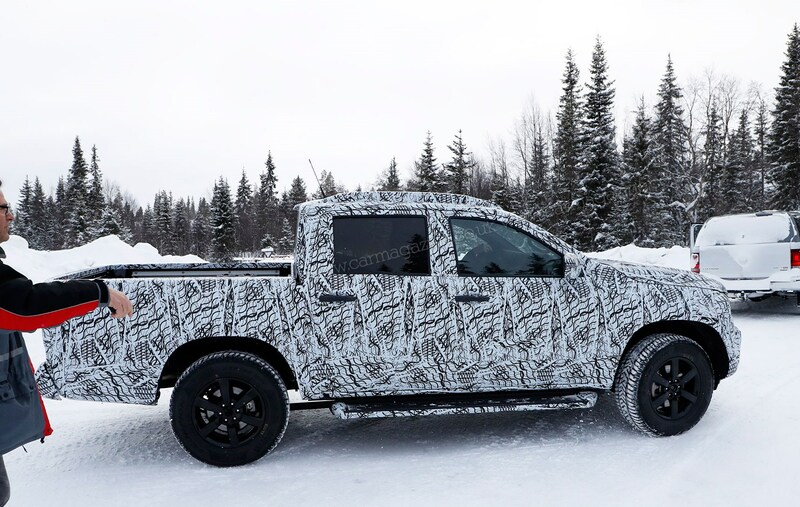 Merc's commercial vehicles wing showed off the X-Class concept cars in autumn 2016 - with a brace of overstyled lifestyle utes, one family-friendly road warrior and a tougher, gruntier heavy-duty scrambler (below). Now it's busy turning the extended family into production reality, hence the concerted winter-testing efforts in Sweden. The first production vehicles were launched in the third quarter of 2017, before UK sales began in 2018. 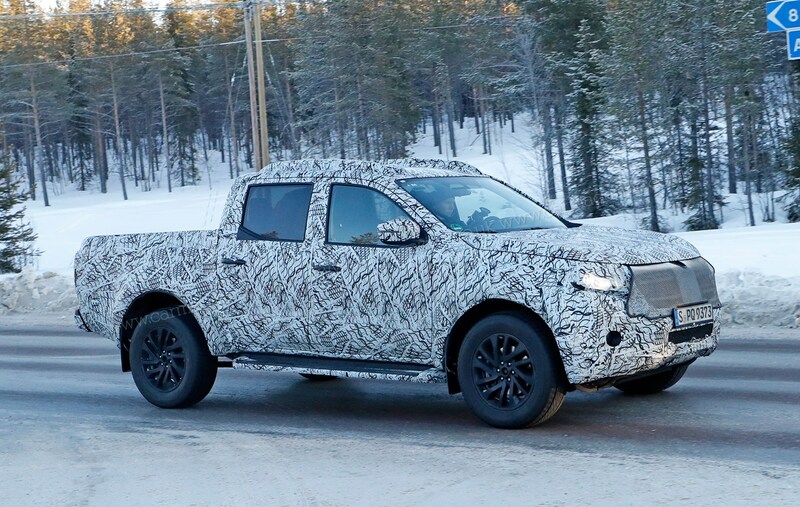 It's based on the tough underpinnings of the Navara from Daimler's partner Nissan, although it will be paired with more familiar Merc engines. 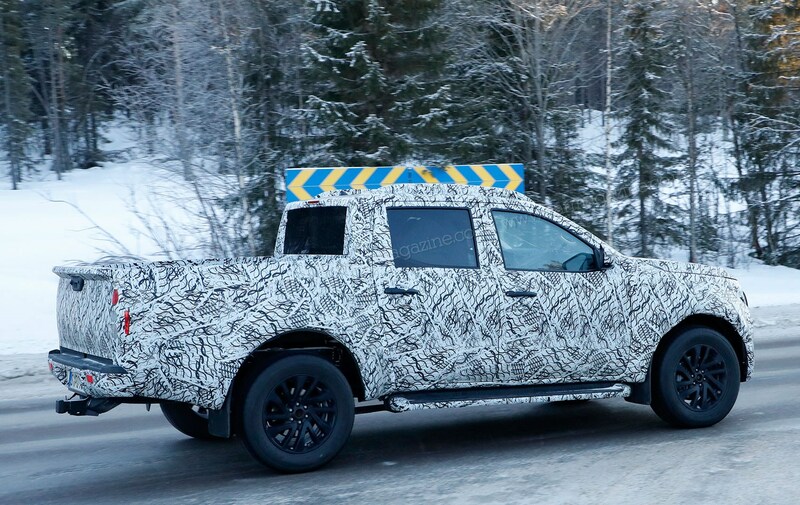 Interestingly, CAR magazine's latest spy photos reveal fuel filler caps on both sides, potentially pointing to an autogas derivative running on LPG or CNG. Or it could point to a plug-in hybrid version with a charging point and fuel tank. 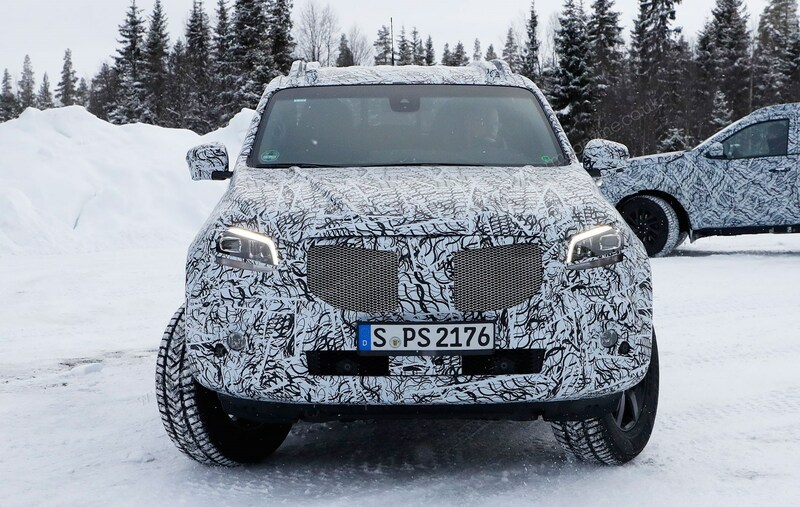 Expect most Mercedes X-Class trucks to be powered by familiar four-cylinder engines, or Daimler's 3.0-litre V6 turbodiesel, likely to produce around 260bhp and 460lb ft of torque. 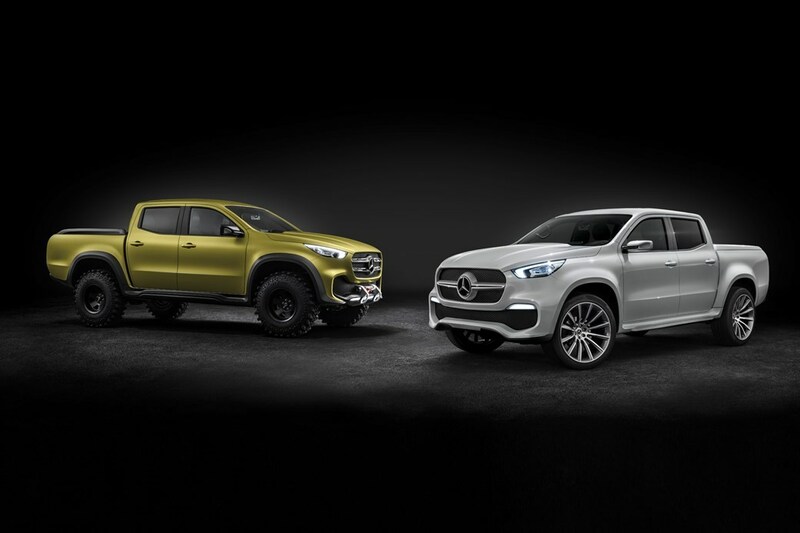 The aspiration is to turn the X-Class into a more premium kind of pick-up, as the world switches on to space and practicality. Think along the lines of how Volkswagen has positioned the Amarok, but with extra smartness (and figures on the price tag).